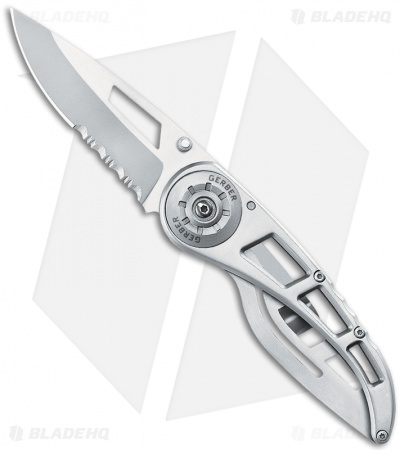 Gerber made the Ripstop 2 knife for the non-conformist in you. This lightweight frame lock folder is built to perform and has the added benefit of being super stylish. The weight of the all stainless steel construction knife is made lighter by the intriguing handle and blade design. There's no bulk in the thin, streamlined handle. Dual thumb studs make opening the blade a snap. Closing it is a simple one-handed step. 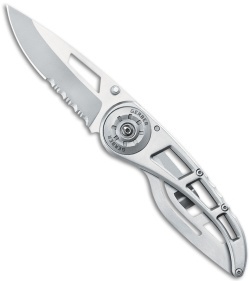 Includes tip-down carry pocket clip.